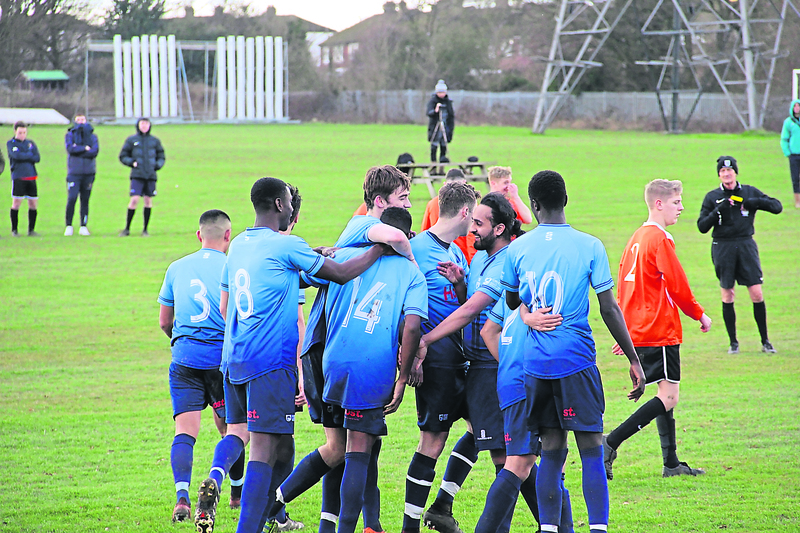 Goals from Yaw Ofosu, Jaedan Potts, Jonah Ross and an own goal ensured Kingston Football got back to winning ways with a 4-1 win over Chichester. Ofosu’s sixth goal of the season was the highlight on an easy afternoon for KUFC. Ofosu fired an incredible free-kick into the top corner from 25 yards out in the 30th minute. 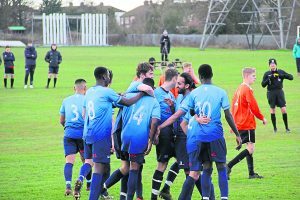 The Chichester keeper was left totally static on his goal line as Ofosu bent the ball into the top right hand corner to spark jubilant celebrations for the home side. Ofosu told The River about his free-kick: “Me and Mo (Sesay) have been fighting for free-kicks all season and I am glad eventually got one. 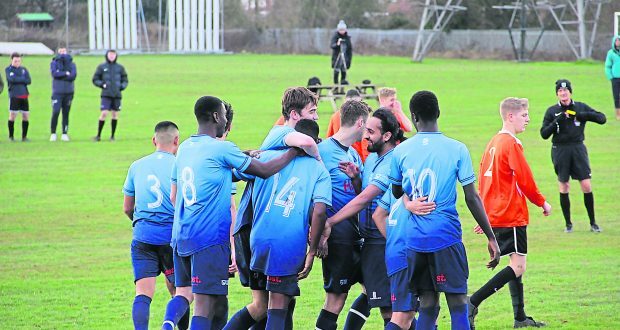 Kingston came into the game on the back of two successive defeats with their last win coming against Chichester with goals from J. Potts, Ofosu and Saif Akhi sealing the 3-0 home win. 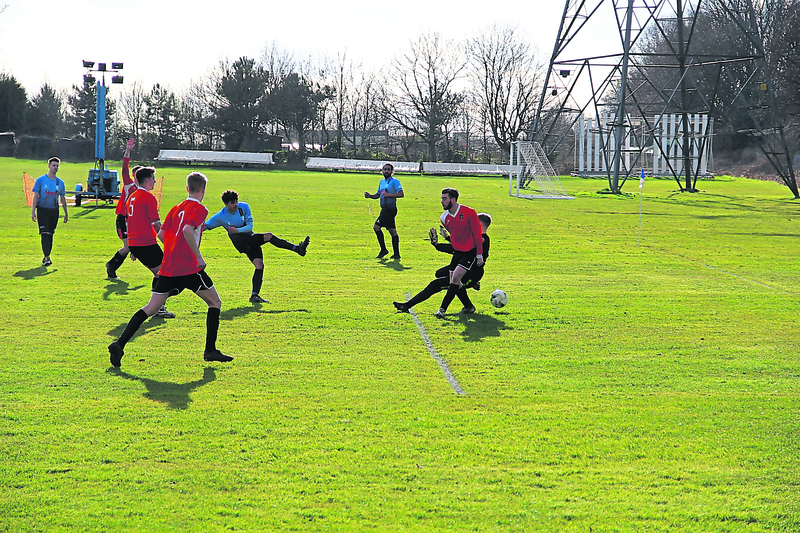 Gurpz Tatla came close to scoring in the 12th minute when an excellent team move involving Pranav Thapa and Marco De Sousa allowed Tatla to fire narrowly over from eight yards out. Tatla came even closer to breaking the deadlock halfway through the first half after a swift counter attack with Ofosu proving the catalyst allowed Tatla to spring the offside trap. The lone striker spurned the one on one opportunity and placed the shot beyond that right hand post. The Cougars finally found the opener when Jonah Ross advanced from fullback in the 27th minute. Mo Sesay turned on the edge of the box and found Ross who still had plenty of work to do. 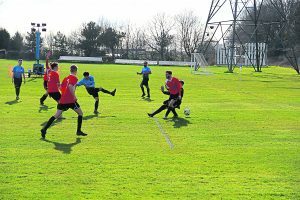 Ross produced a clever flick to nutmeg the Chichester defender and he produced an emphatic finish past the keeper at the near post just inside the six-yard-box. It was richly deserved for the home side and a testament to Ross’s workrate from left-back. Cougars captain Greg Potts, 21, said: “I thought Jonah had one of his best games, especially going forward. You can tell he used to be a left winger. Another two quickfire goals from the home side effectively killed the game as a contest in the second half. An own goal from Chichester’s centre back and a clever finish from Jaeden Potts in the 71st and 75th minute sealed another emphatic home win over Chichester. Potts turned and fired home from a ball threaded by Marco De Sousa. Chichester added a late penalty after the excellent Ofosu fouled his man in the box with ten minutes to go but it was nothing more than a formality. Will Ford fired a powerful penalty that Cougars keeper Gurney was helpless to. Dan Smith was sent off for the visitors after a wild challenge on Ofosu with five minutes to play as the visitor’s frustrations were apparent. Kingston coasted to a routine 4-1 win over their visitors with two goals either side of halftime sealing the result. Ofosu and J.Potts scored against Chichester for the second game running after Jonah Ross had opened the scoring.